I love Finisterre cold-weather clothes and lap up discounts on their high-end gear. 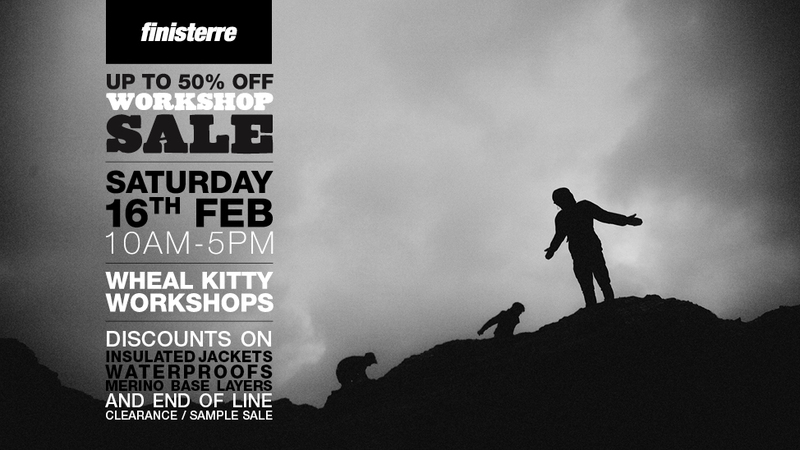 This promising-looking workshop sale takes place Saturday at Finisterre’s HQ at Wheal Kitty in St Agnes. Test your gear in the (probably) lashing rain at Trevaunance Cove afterwards. Or better still hang it up and go for a Wheal Kitty pizza at the Cornish Pizza Company – I haven’t tried them out yet but it all sounds perfectly tasty and thin-crust.